Colonial inspired homes should be decorated in earthy color tones, but the idea that the look is drab can be overcome by using several colors in one area. White - Walls and ceilings were usually painted white, in order to make the small rooms of a colonial home, appear much larger. Dark Brown - commonly used for furniture and small details to contrast against the white walls. 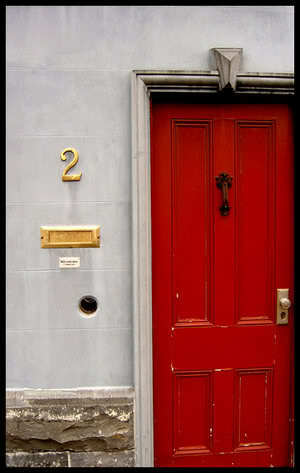 Red - very popular color of colonial times as red paint was the cheapest - exterior front doors of colonial homes were usually painted in this color. Black - usually used on exteriors, often on shutters. The biggest way to create impact in any room is decorating the largest spaces in the room - the walls and floor. Wallpaper was used but only in wealthy colonial homes. A more traditional approach of the time was to decorate walls with the use of stenciling. This often included fruit and flowers - designs inspired by nature were popular decorating ideas to use in the home. 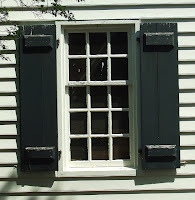 Crown and dentil moldings were common features in colonial homes, to add decorative detail but were usually painted the same color as the rest of the walls, doors, and chair rails. Flooring was pine wood and sparse, brightened by the addition of a braided rug, or painted canvas floor cloth. All colonial inspired rooms should feature a chair rail on the walls - in colonial times these were used in a practical way to keep the paint from getting worn when chairs were pushed back against them. Wooden wall paneling was often used in colonial homes, in addition to chair rails, which again was limed or left in its natural state. The wall paneling was used in quite a low position around the walls (about 1/4 the way up), to create the illusion of a larger room. Pine was most often used for this purpose. Most colonial homes only had room or money for furniture that was purposeful. Dark wooden chairs in a rustic style were commonly used and didn't have to match - they also featured little in the way of soft furnishings. Detail was added to the wood, by the use of the liming process - a lime paste was added to the wood to protect it, but left behind a white detail on the pores and grain of the wood. You can recreate this by using homemade milk paint. Furniture over all was rustic and practical. 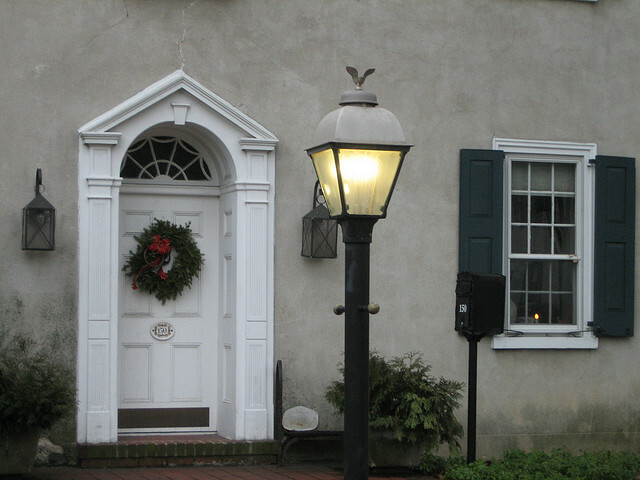 A modern home decorated in the colonial inspired style, should be decorated to feature plenty of storage, as clutter wasn't acceptable in a colonial home. 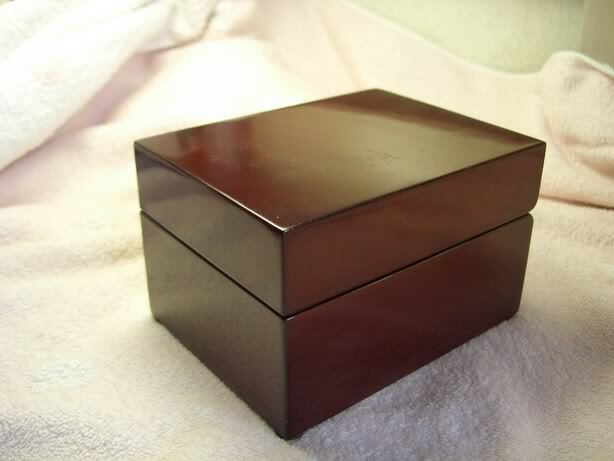 In colonial times this would have been wooden boxes, but as long as it's natural and practical, it will fit right in. Folk art images were widely used as smaller details in a colonial inspired home. 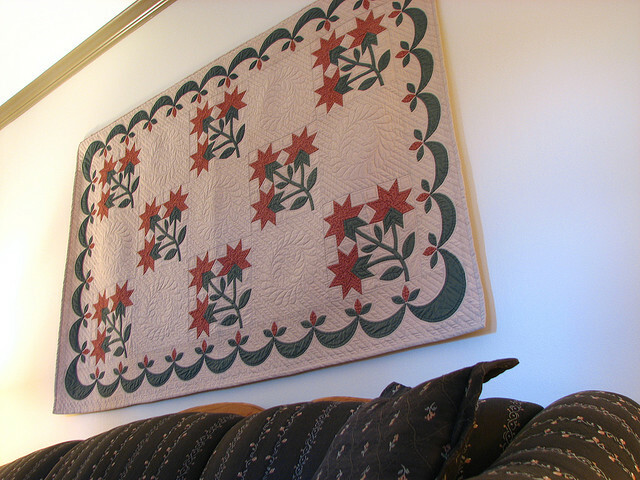 A handmade quilt should feature as a decoration in any bedroom that is inspired by colonial style. Add internal wooden window shutters if you don't already have them. For true authenticity add leather straps to cover the hinges. If you don't fancy the idea of internal shutters then use simple tab top curtains, hung from a dark wooden pole. 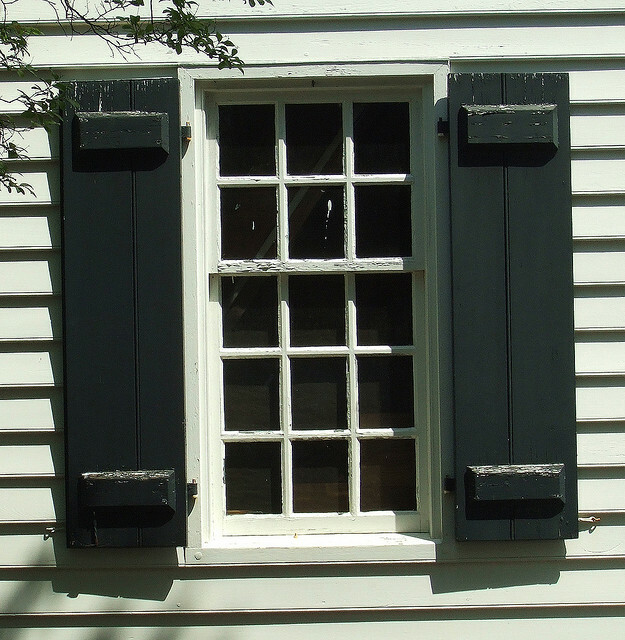 To add colonial style to your home's exterior, paint it white, with black shutters, and a bright red front door. Use candle holders and wall sconces for candles - these can be wooden or wrought iron. The colonial inspired home decorating ideas given above, should have given you enough ideas to transform the interior or exterior of any home into an authentic colonial retreat.